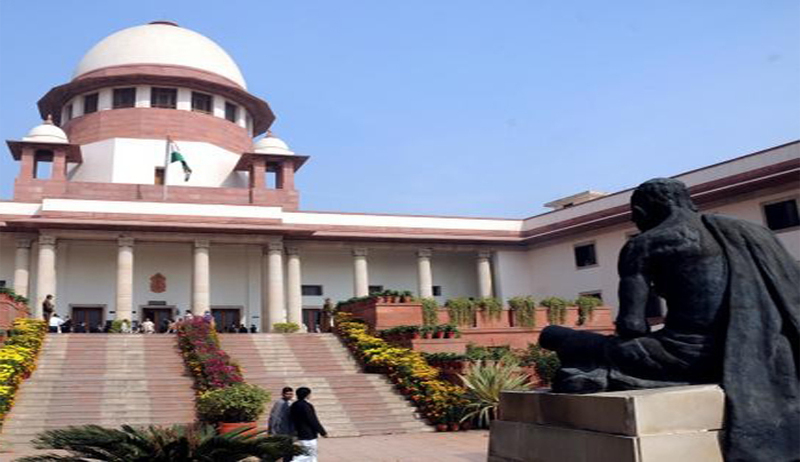 The Supreme Court (SC) stayed the execution of death sentence of a woman named Shabnam and her lover Saleem, who were convicted in 2010 for killing seven members of the woman’s family in April, 2008. The stay order was issued by a bench comprising Justices A K Sikri and U U Lalit. The stay order was issued on the basis of writ petitions filed by Shabnam and the Death Penalty Litigation Clinic of NLU Delhi. Both the parties were represented by Senior Advocates Anand Grover and Raju Ramachandran respectively. The main ground raised by the petitions was that the execution warrants violated the fundamental rights of the prisoners. Earlier this month, the SC on May 1st had upheld the conviction and death sentence given to this couple in an appeal filed against the Allahabad High Court judgment which had confirmed the death sentence awarded by the Sessions Court. Thereafter, death sentence execution warrant against the couple was issued last week on May 21st. The couple had committed this heinous crime when their intention to get married was rejected with cold opposition from Shabnam’s family. The division bench has issued notice to the Uttar Pradesh Government seeking its response. This matter will be heard further on May 27th. Read more about this matter here. Read the statement from the Death Penalty Litigation Clinic at NLU Delhi concerning the death warrants issued to execute Shabnam and Salim.